The Chocolate Chip cocktail is an extremely tasty sweet treat that could easily replace a dessert. 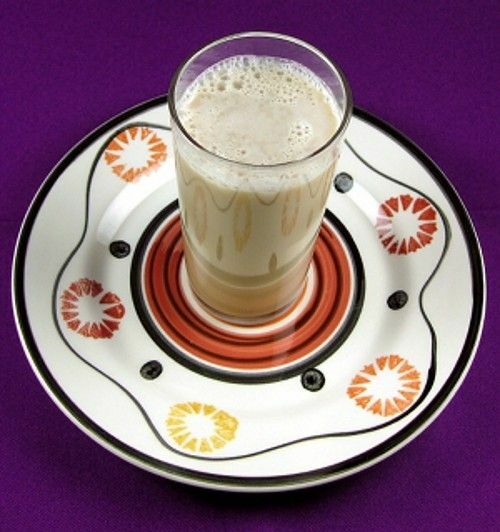 It uses both shades of creme de cacao, Baileys and milk. The end result does actually taste a little like a chocolate chip cookie. Enjoy think drink the next time you’ve got a sweet tooth, It’s great after dinner, or on a night out. It’s also fun to serve at parties – just don’t mix a pitcher unless you’re sure it’ll all be used up, since it’s got milk in it. Fill a cocktail shaker halfway with ice. Add the liquors first, followed by the milk. Shake the mixture thoroughly and pour over ice.